Madeleine Albright Warns: Don't Let Fascism Go 'Unnoticed Until It's Too Late' The former secretary of state describes President Trump as "the most anti-democratic leader that I have studied in American history." 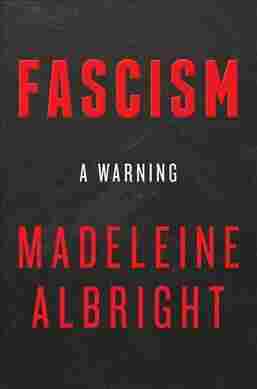 Albright's new book is Fascism: A Warning. 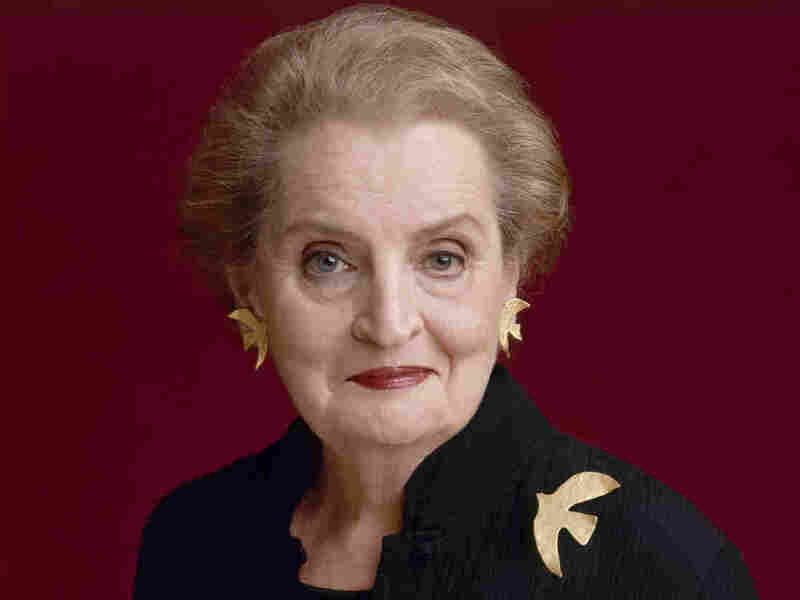 While Albright does not call Trump a fascist, she says that he is "the most anti-democratic leader that I have studied in American history." "We're not fulfilling the role that we're supposed to," she says of the United States today. "I believe very much that democracy in the United States is resilient [and] that people can be skeptical about things that are going on, but I really am afraid that we are taking things for granted." Part of the reason for writing [the book] is to say that, in fact, this can happen in countries that have democratic systems, that have a population that's interested in what's going on, that is supportive. ... That's what's so worrisome, is that fascism can come in a way that it is one step at a time, and in many ways, goes unnoticed until it's too late. I think that a lot of it has to do with the era that we're in, where there has been very rapid change in technology and that has created a lot of joblessness in countries. There is a whole way that technology and information is passed without making sure that it's really true. There are those people who are angry because the status quo hasn't changed, while the climate within a country has changed, and that the powers that be in a democracy aren't responding quickly enough. So it's kind of like as though we were seeing the people are getting their information on 21st century technology, but the governments are providing 19th century responses. And so the institutions are not responding to the divisions and the problems that people are having in these countries. And then the other part of this, which I think is essential, is there is some leader at the top who takes advantage of these divisions and, in fact, exacerbates them so that the societies are more and more divided and wrangled and looking for scapegoats, which is where the immigrants come in. But mostly, this is something that's created internally by massive changes in society and some of them, due to technology. What Trump is doing is making America seem like a victim. Everything is somebody else's fault: Countries are taking advantage of us. The Mexicans are sending drug dealers. Countries are not paying their dues. The trading system is unfair. And by making Americans seem like victims all the time, it then is able to, again, make the divisions stronger in terms of who is with us, who is not with us, and it's totally anti-American foreign policy. And so I think it's very, very worrisome in terms of this victimhood. My concerns are that he has been an outspoken person for the use of force, for the absence of diplomacy, for tearing up the Iran nuclear deal, for thinking that force is possible with North Korea. And frankly, part of the problem is ... that [Trump] listens to the last person who has talked to him, and the national security adviser is most often the last person, so I am concerned about that. On her belief that President Trump is "anti-democratic"
I think people may disagree with the president of the opposing party ... but we normally have believed that the president tells the truth. And I know I'm very worried about the fact that there are deliberate ways of misstating the issue, and then the people think, "If the president said it, it must be right," when it's just a deliberate untruth.